Reddit now supports native video. This means you no longer have to upload your video to a third-party service (such as YouTube) and then post the link into Reddit. Instead, you can just upload the video directly to Reddit. This is a win-win for both Reddit and its legion of loyal users. Love it or hate it, Reddit is one of the most important websites on the internet 7 Most Important Websites We Can't Live Without 7 Most Important Websites We Can't Live Without The World Wide Web (now more commonly known simply as the Web) has been with us for over 20 years now, and in that relatively short space of time it has unequivocally changed the world.... Read More . It’s popular too, with hundreds of millions of users racking up billions of pageviews. However, until recently, Reddit has been reliant on third-party services, which has somewhat inhibited its ambitions. In 2016, Reddit started hosting its own images, which was a massive blow to Imgur. Now, Reddit is hosting its own videos too, which will be a similar blow to YouTube. After testing native video over the last few months, Reddit is now rolling the option out to all 100,000 communities. If you’re browsing Reddit on desktop you can upload any existing video from your files by clicking “Submit Link” on your chosen subreddit. If you’re using the official Reddit app Reddit Releases Official Mobile Apps, but Do You Need Them? 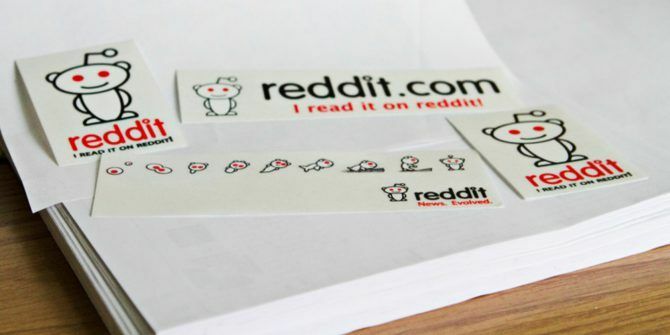 Reddit Releases Official Mobile Apps, but Do You Need Them? Reddit finally released official apps for Android and iOS, but do they stand up against the third-party apps? Read More available on Android or on iOS you can also record a new video from scratch by clicking “Post to R/_____”. Reddit is supporting both MP4 and MOV video uploads, and they can be anything up to 15 minutes long. For those who prefer shorter snippets of video Reddit also boasts a native GIF converter. This lets you trim away the fat from your video until only the most interesting part remains. In its blog post detailing the new feature, Reddit shares examples of the types of video people have been uploading. These include someone asking his fellow Redditors what sort of haircut he should get, and someone else showing off his golf swing. Neither of which would have made for compelling YouTube videos. But they make sense on Reddit within individual communities. Allowing users to upload videos directly to the site is a real boon for Reddit. It should make the process more seamless, leading to more content and more users. But even more importantly, it gives Reddit the opportunity to explore video advertising YouTube Explains How to Keep Advertisers Happy YouTube Explains How to Keep Advertisers Happy In an effort to appease both creators and advertisers, YouTube has clarified what kinds of videos will be monetized going forward. But has YouTube hit that sweet spot appeasing everyone? Read More in order to bring in more revenue. So it’s not an entirely selfless act, but everyone wins. Everyone except YouTube, obviously. How often do you visit Reddit? Do you have a Reddit account or do you just browse anonymously? Have you ever posted a video on Reddit? Are you more likely to post videos on Reddit now that the site boasts its own platform? Please let us know in the comments below! Explore more about: Online Video, Reddit, YouTube.